Below are some of the toy products designed by Idea Duck and licensed to various manufacturers. This is the most recent introduction to the In a Box series. The wonderful art is by Cynthia Jabar, the amazing artist who did the art for Princess Castle in a box. Take off the lid and unfold the box for hours of imaginative play. 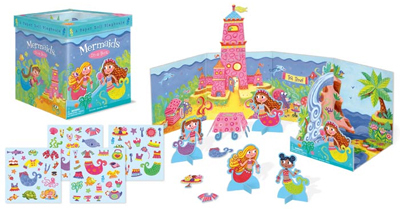 You can dress up the mermaids for a tea party under the sea. For ages 3 and up. 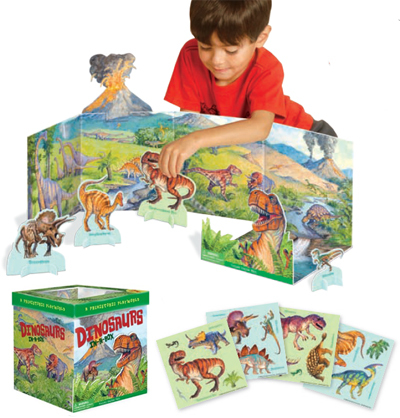 Dress up dinosaurs in a box! Okay, you’re not dressing your dinosaur skeletons in fancy clothes, you’re dressing them in various different skins. This cool prehistoric panorama includes 10 dinosaurs. For ages 3 and up. Art by Steve Johnson & Lou Fancher. 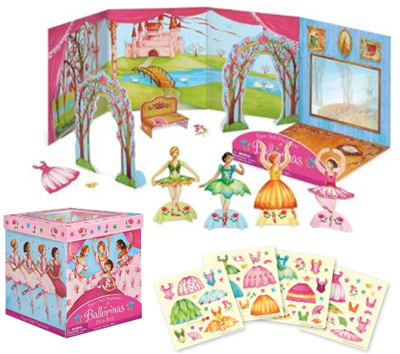 The 4 paper doll ballerinas have lots of room to dance – the box opens up to 28 inches of dancing room. There are lots of gorgeous vinyl costumes for the dolls and they can dance either on a stage with a mirror or in a fantasy castle backdrop. For ages 3 and up. Art by Gabrielle Grimard. This is a playhouse and paper doll set all in one. My goal in designing this product, was to find a way to capitalize on Peaceable Kingdom’s packaging. Everything they make comes in fantastic packaging and I wanted to figure out how to integrate the packaging and the product. Thus a simple box folds out into a playhouse with various cardboard attachments and accessories. For ages 3 and up. Art by Cynthia Jabar. 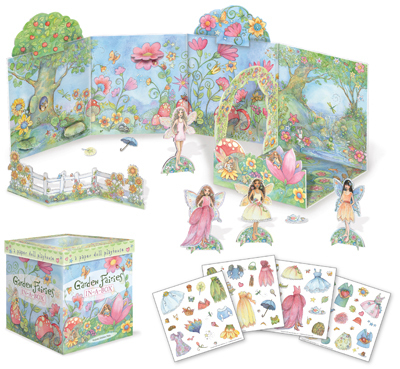 This is a fairy garden play environment and paper doll set all in one. The beautiful fairy dresses are vinyl clings so that it’s easy to dress the paper dolls again and again. The box folds out into a playhouse with various cardboard attachments and accessories. 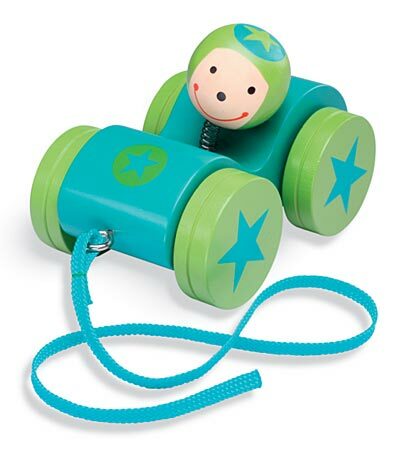 This product is the proud winner of a 2009 Oppenheim Toy Portfolio Gold Seal Award! For ages 3 and up. Art by Becky Kelly. Make an Entrance transforms any doorway into a magical portal. The spring-loaded curtain rod makes it easy to drape your door with the soft, gauzy curtain and its blooming valance. There are two styles. In the photo above, you can see the green Fairy Garden, topped with a colorful field of flowers. Click on the photo to go to the HearthSong website where you can see the Rose Garden version, crowned with a garland of roses. This product is the proud winner of a 2008	Parents' Choice Approved Award! 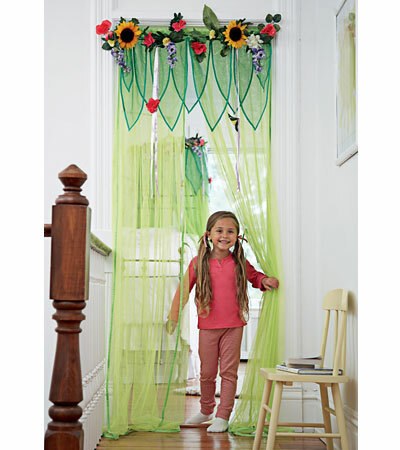 These soft, gauzy curtains cast a wickedly cheerful holiday spell on any doorway. 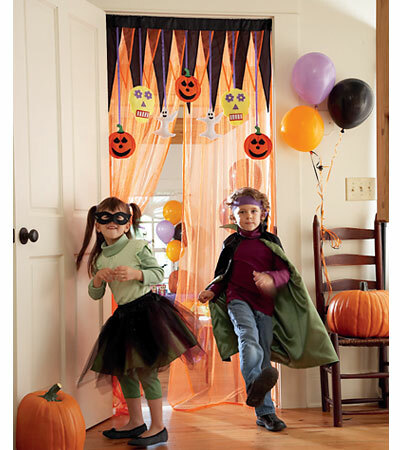 You can dress up your front door for trick-or-treaters or dress up an interior door for party guests. A dangling gaggle of soft-sculpted ghosts, skeletons, and jack-o'-lanterns hovers hospitably where ever you place the curtains. Ho-ho-ho! 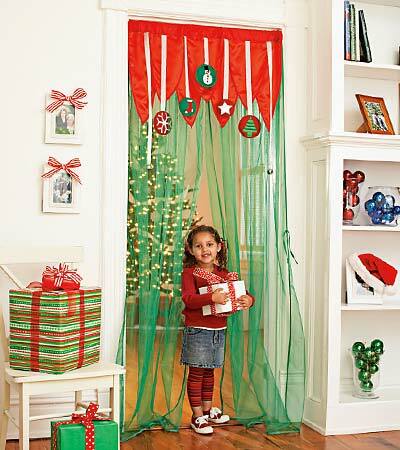 Christmas makes a grand entrance the instant you hang up these playful curtains. Walking through the curtains adds another dimension of merriment to your holiday festivities. Picture cube puzzles are a classic toy. In a standard set of picture cubes, there are six scenes to create, which means there are six puzzles to solve. If you don’t get all the cubes in just the right place, the picture you end up with doesn’t make any sense. And there are only six solutions for the entire set. I wanted to create a picture cube puzzle that had hundreds of solutions. I realized that if the design on each side was radially symmetrical and used the same palette as the other sides, it would be possible to mix and match the cubes to create many, many beautiful designs. It’s a challenge to solve for specific designs and it’s fun to create your own solutions. The set includes 16 cubes with designs printed on each side, design cards and a clear plastic storage tray that lets you create two designs simultaneously, one on top and one on the bottom. 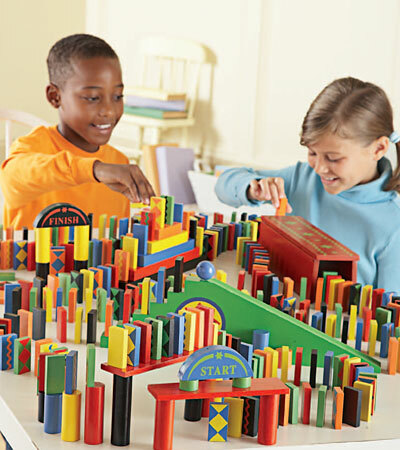 The Montana Stacking Puzzle is different from most wooden block sets in that there are no right angles. Instead the blocks have straight edges and 30, 60 and 120 degree angles. Inspired by standard pattern blocks, I made the classic pattern block shapes larger and chunkier and took out the right angles. 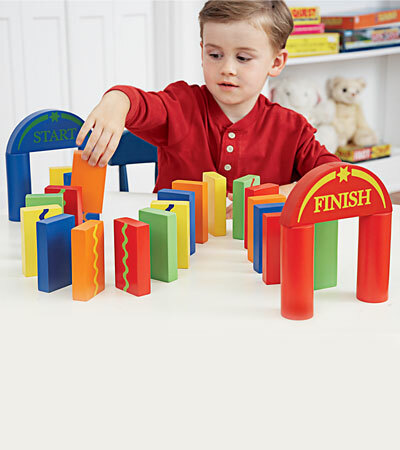 Montana challenges your hand-eye coordination as you create delicately balanced vertical structures. I really like the regular Domino Rally that came out in 2006, but it requires more hand-eye precision than little kids have. So I designed this set for younger children. The great big blocks are easier to set up because they’re less top-heavy. And the set is purposefully small, so it doesn’t require a lot of patience to set it up before you get to knock it down. The big blocks really thunder as they fall down. Robots, robots and more robots. Enough robots to satisfy any young child. This game includes 20 wooden robots and 1 wooden UFO. Roll the die to determine which robot gets to hop on the UFO next. Be careful! The UFO will tip over if you don't place your robots carefully. 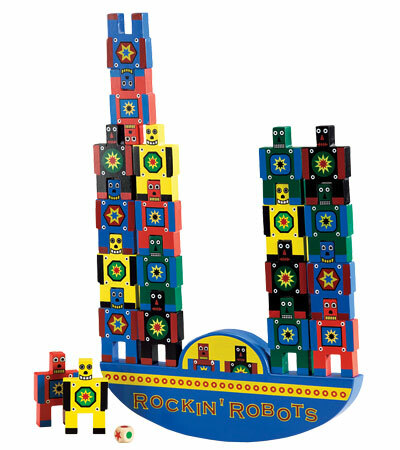 The best part of this product, although you can't see it in the photo, is the variety of ways that the robots stack together. They can be stacked to make interesting towers both on and off the UFO. This is a building toy as well as being a game. Everyone who sees the robots has to play with them. And I've been amazed at all the different ways children and adults have stacked the robots. Clickity clack clack clack - listening to the dominoes fall in the Domino Rally is almost as much fun as watching them. It's fun to march the dominoes up and down and over and through all the special pieces. Many of the blocks have patterns that add an extra sense of movement as all the blocks fall down. There's also a set of steps, a ramp with a ball, a tunnel and a set of steps that includes a bridge. I love stacking toys. I thought stacking stars would be fun because they balance in so many ways. This set includes 24 stars in 6 different colors and 4 different shapes that fit together in interesting ways. The stars seem to fit together no matter what you do. When you're finished stacking, it's fun to use the purple ball to knock down your star towers. 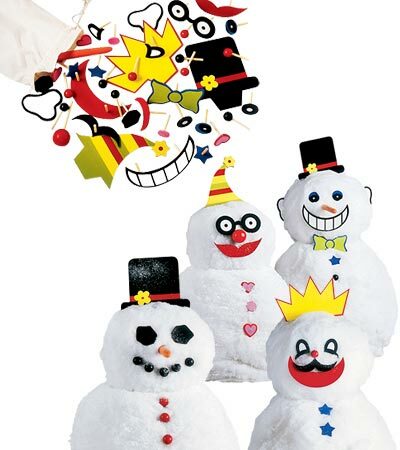 The snowman set is the first toy licensed by Idea Duck and therefore it's dear to my heart. There are over 40 pieces that you can mix and match to decorate your snowman. This product is the proud winner of a 2005	Parents' Choice Approved Award! I designed this set so that even young children would be able to join in the fun of decorating a pumpkin for Halloween. 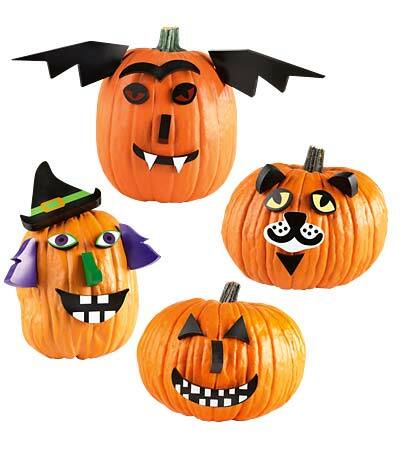 The Pumpkin Decorating Set includes enough pieces to create your very own cat, clown, Frankenstein, jack-o-lantern and alien. 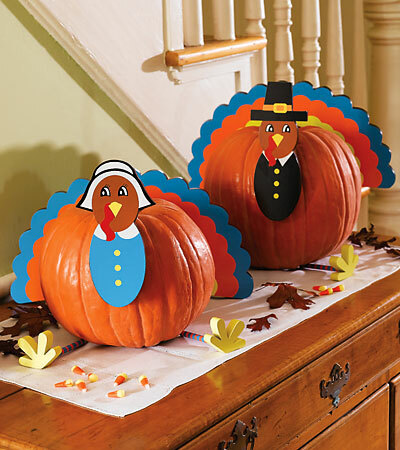 This product is also a fast and easy way for adults to decorate pumpkins. That's why I created this set for HearthSong's sister catalog Plow & Hearth. 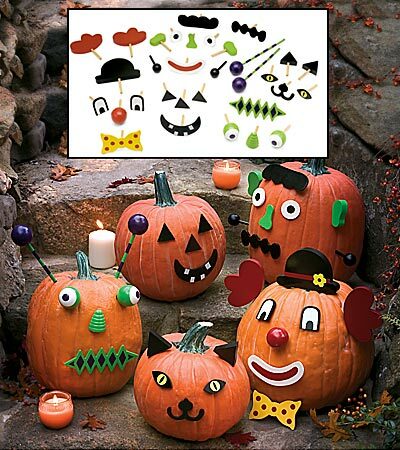 All in all, both sets are a fun and funky way to decorate pumpkins year after year. Thanksgiving is one of my favorite holidays, but there isn't a whole lot for kids to do. I thought decorating pumpkins would be a fun Thanksgiving activity for small children. These pieces work the same way that the other Pumpkin Decorating Kits work. When I was a small child, my grandma made a beautiful flock of felt birds for Christmas ornaments. 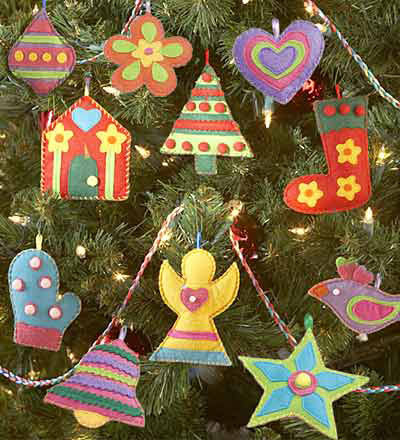 Those felt birds have been my favorite Christmas ornaments for a very long time. I looked to my grandma's birds for inspiration when I designed this set. I like how the bright colors and simple shapes stand out against the dark green branches of the Christmas tree. I adored geometric coloring books when I was a kid. 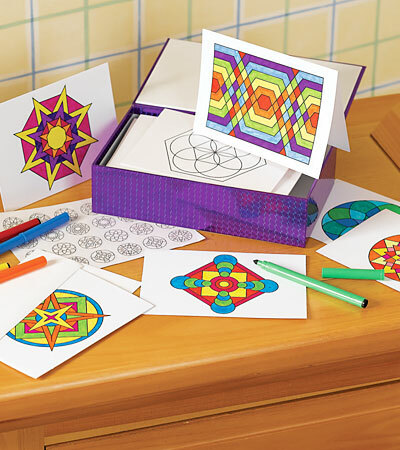 I thought it would be fun to create the same kind of geometric designs on cards so that you could share your finished artwork. This set includes 24 cards, envelopes and stickers that come in a sturdy storage box. Start your engines! Bobbin' Racer is ready to go. This pull toy features a driver whose head bobs as he's pulled all around the house. His wheels are offset to create constant head motion.